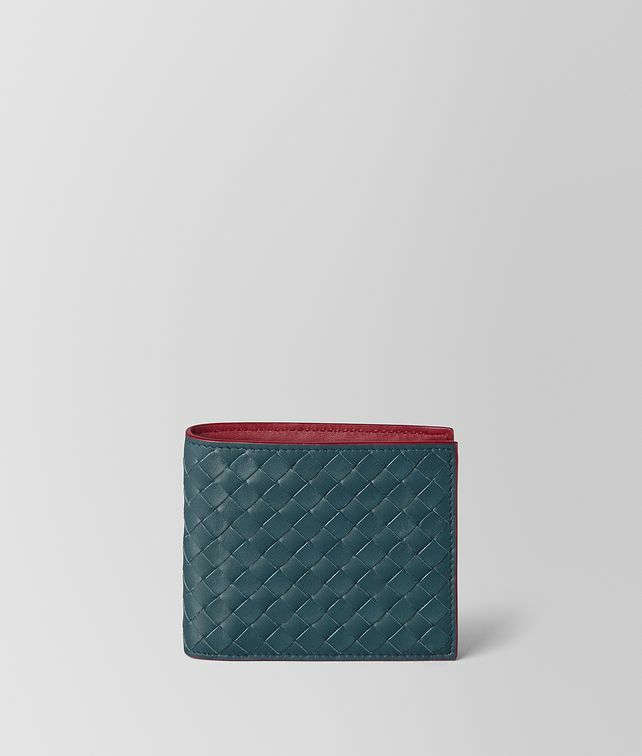 This classic bifold wallet features a bold design with contrasting colors. The exterior is hand-woven from durable calf leather, while the interior is lined with smooth nappa in a different hue. Fitted with four credit card slots, four pockets for organizing notes and receipts, and a coin compartment.